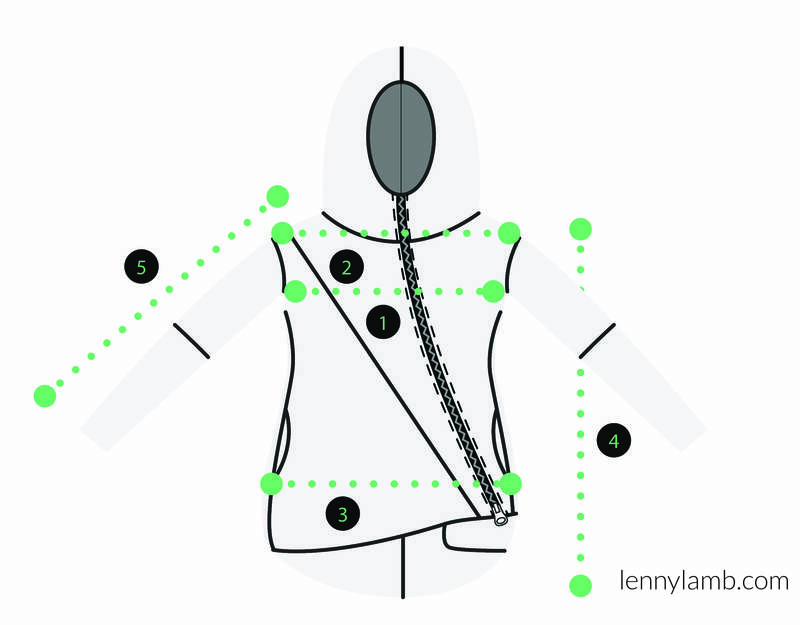 An Asymmetrical Hoodie from LennyLamb is universal. You can you use it at all motherhood stages. It can cover a growing pregnancy belly. 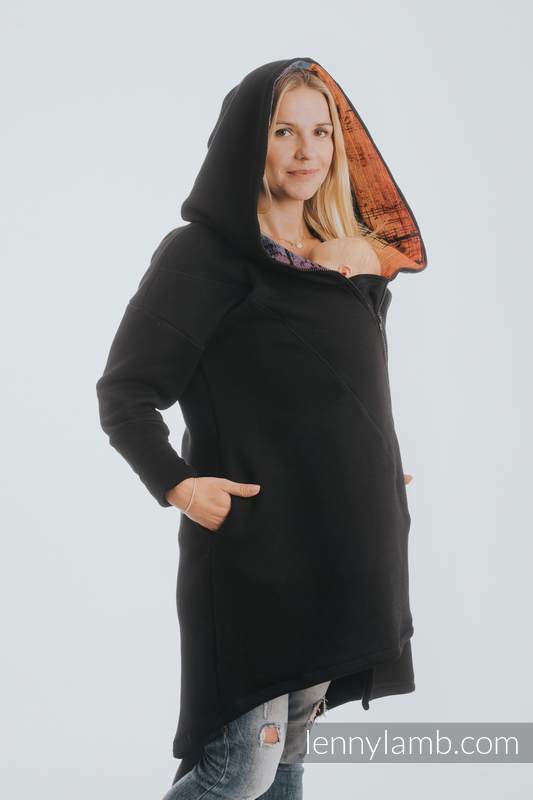 It is perfect as a warm babywearing hoodie. 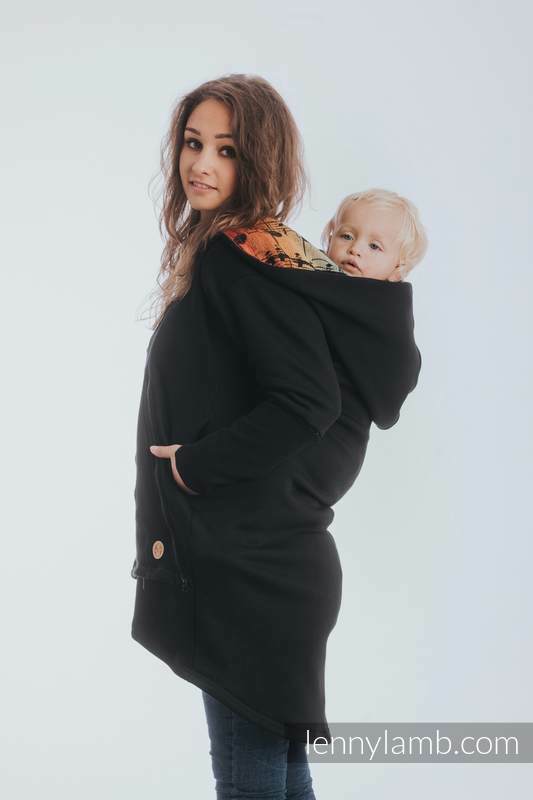 You can wear a baby in a wrap or a carrier, both front, and back. 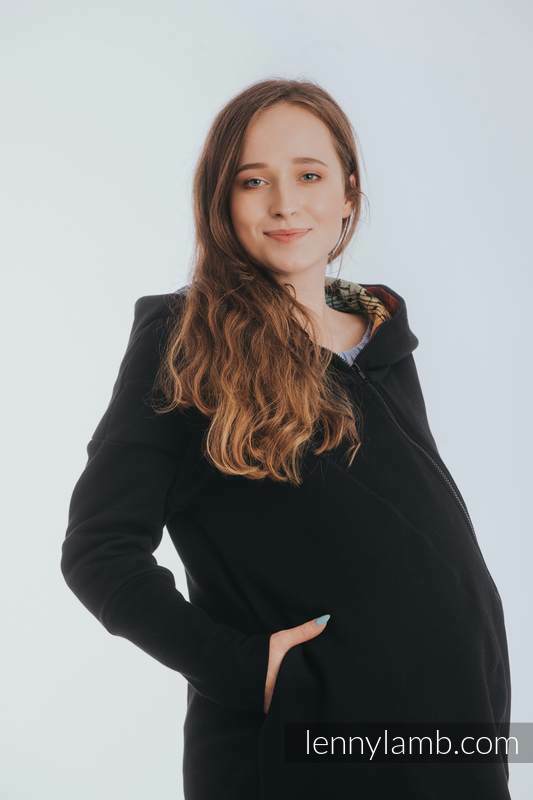 You can also wear it on a daily basis - going out without a baby has to be comfortable for you. 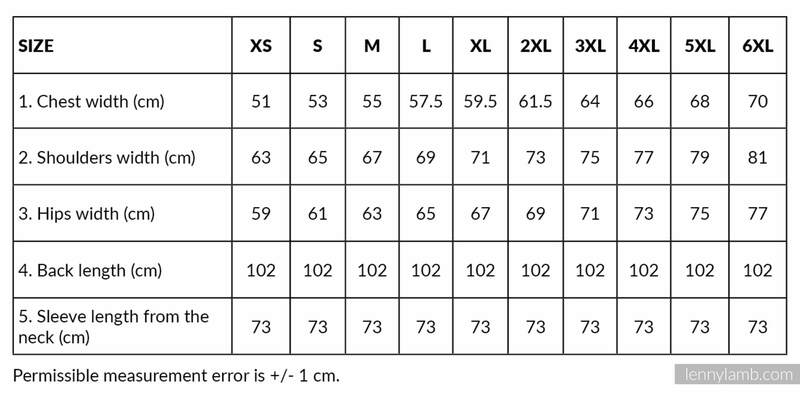 It is made of a high-quality soft and warm soft knitted fabric and a patterned finish, made of a woven fabric, will allow you to express yourself. 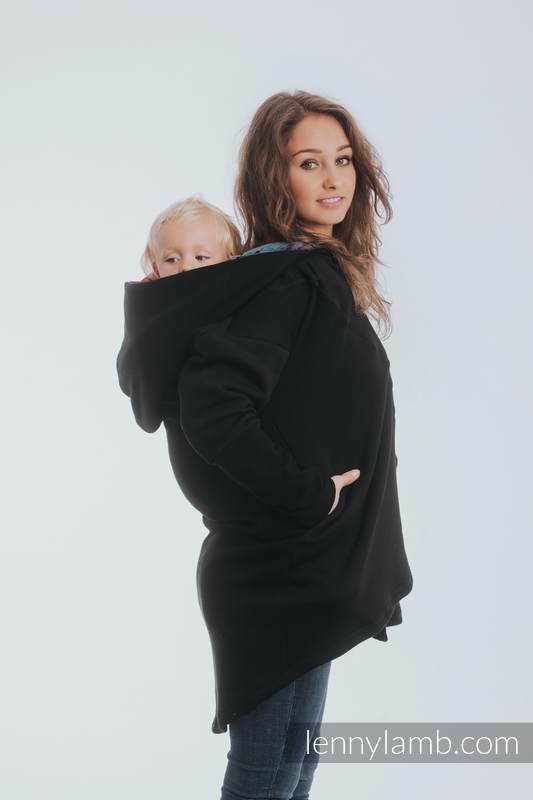 Thanks to an extraordinary cut the hoodie suits both women and men. 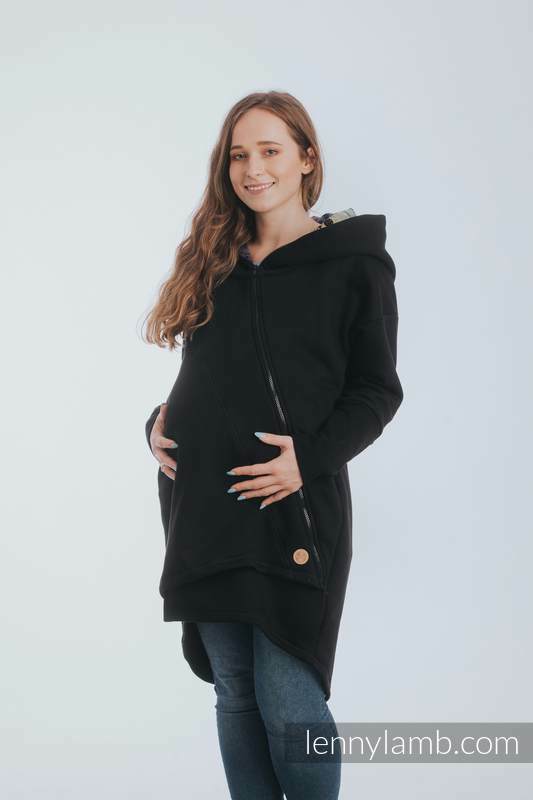 The given measurements do not include wearing the hoodie to cover pregnancy belly.